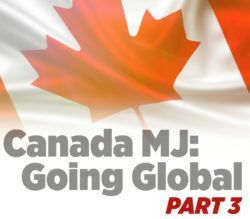 Canadian medical cannabis exports are surging, driven by licensed producers that are using overseas shipments as a way to establish local partnerships and gain a foothold in foreign markets. 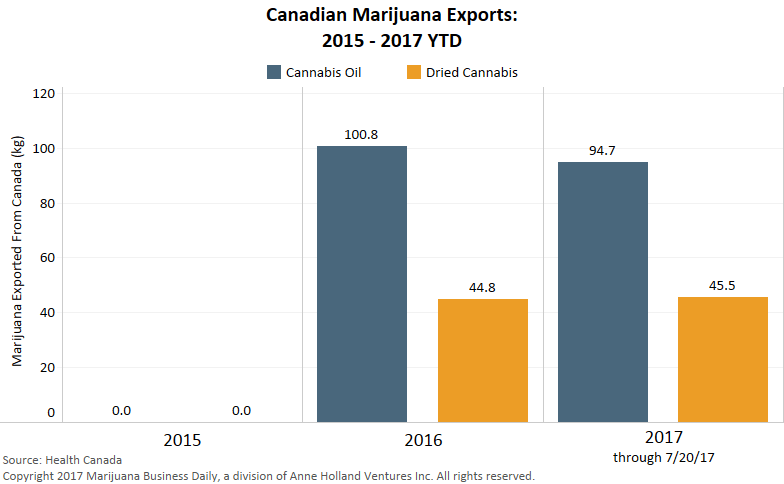 In particular, exports of dried medical marijuana and MMJ oil products from Canada have soared since 2015. And they are on pace to double this year from 2016 levels, according to data obtained by Marijuana Business Daily. Analysts expect this trend to continue in the near future as more countries legalize medical cannabis. While exports remain a sliver of overall medical marijuana sales in Canada, licensed producers (LPs) have moved to capitalize on burgeoning overseas MMJ markets such as Germany, Australia and South America. Just over 45 kilograms (100.3 pounds) of dried cannabis and 94.7 kilograms of cannabis oil were exported through July 20 of this year. For all of 2016, 44.8 kilograms of dried cannabis and 100.8 kilograms of cannabis oil were shipped overseas. No medical marijuana was exported in 2015 under the former Conservative government, which did not share the pro-MJ views voiced by current Prime Minister Justin Trudeau. Cam Battley – a member of the board of directors of Cannabis Canada, the industry association for licensed producers – sees exports as a means to an end. Over the past two years, Canadian LPs have exported cannabis oil to Australia, the Cayman Islands, Chile, Croatia, Cyprus, the Czech Republic and New Zealand. Dried cannabis has been sent to Australia, Brazil, Germany, Israel and the Netherlands, according to Health Canada. No cannabis export permits were issued in 2015, while 43 were handed out last year and 75 as of July 20 this year. Of the 75 permits issued this year, 11 were for dried cannabis and 64 for cannabis oil products. In total, 118 export permits were issued by Health Canada as of July 20 under federal guidelines established between 2013 and 2016. The data also shows that most export applications were approved. In 2016, Health Canada received 11 export applications for dried medical cannabis and issued nine permits. So far this year, Health Canada has approved 11 of 13 export applications submitted for dried MMJ. Though growing quickly, exports still represent a tiny fraction of overall MMJ sales by the country’s licensed producers. In the first three months of 2017, slightly less than 6,000 kilograms of dried medical cannabis were sold to 129,876 registered clients across Canada for medical use, meaning exports accounted for less than 1% of all sales. MedReleaf (Toronto Stock Exchange: LEAF) this month completed the first-ever shipment of medical cannabis oil to Brazil. Tilray, a major Canadian LP, has exported MMJ to Cyprus, Chile, Croatia, New Zealand and Australia. Another LP, CanniMed Therapeutics (TSE: CMED), delivered the first commercial shipment of MMJ oil to Australia in the spring. Aphria (TSE: APH) last year received a license to export product to Australian biotech company Medlab Clinical. Canopy Growth (TSE: WEED) last year secured permits to export medical cannabis for sale to German patients. 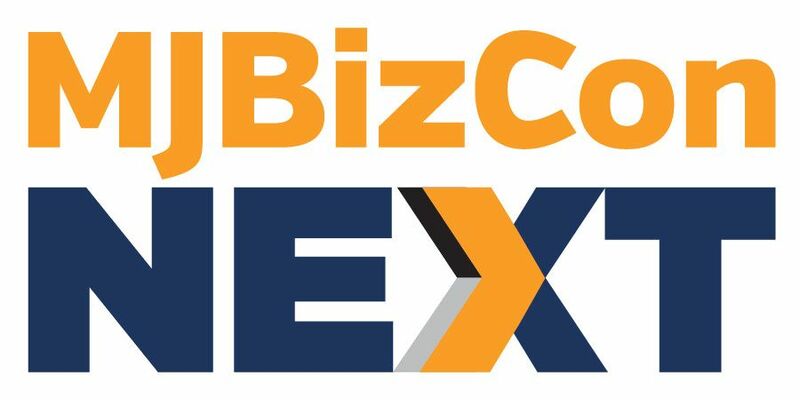 ABcann Global (TSX Venture: ABCN) CEO Aaron Keay said he expects to acquire a distribution license and start exporting to Germany in the third quarter. CanniMed (TSE: CMED) has a supply agreement with a company in the Cayman Islands. Cronos Group (TSXV: MJN), through its wholly owned subsidiary Peace Naturals, signed an export deal last year with a German company. Looking ahead, analysts expect exports will continue to rise as Canadian LPs service niche markets and establish localized operations abroad. Khurram Malik, a partner with financial advisory firm Jacob Capital Management, sees exports spiking to certain nations and regions before coming back down once Canadian LPs set up operations in those markets. Battley, the Cannabis Canada board member, sees exports climbing in response to new markets coming online. Twenty-three countries have active medical cannabis laws, while another 14 countries have pending laws, not counting the United States.